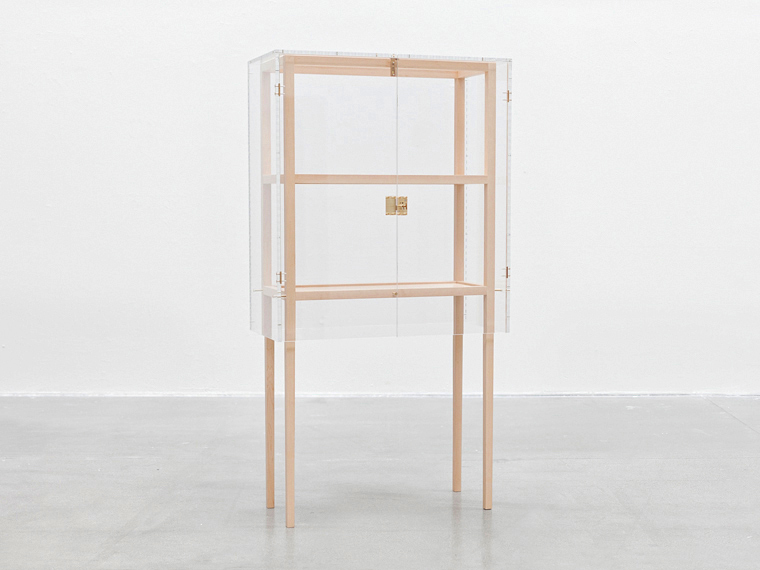 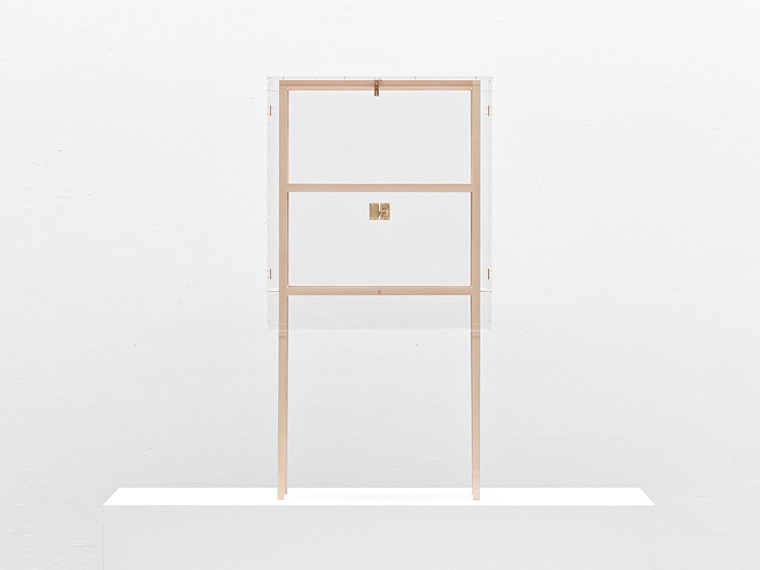 FRANK is a cupboard made from acrylic glass and maple wood. 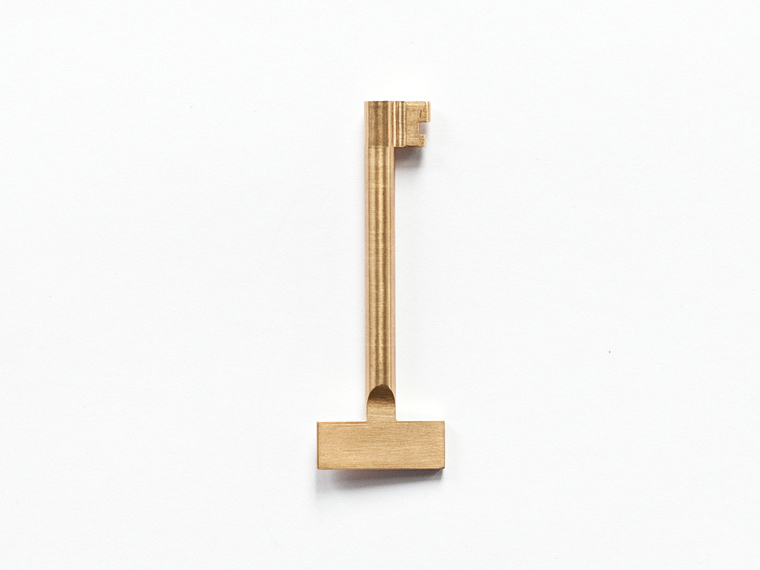 The ambition for the piece has been to fully present its craftsmanship and construction. 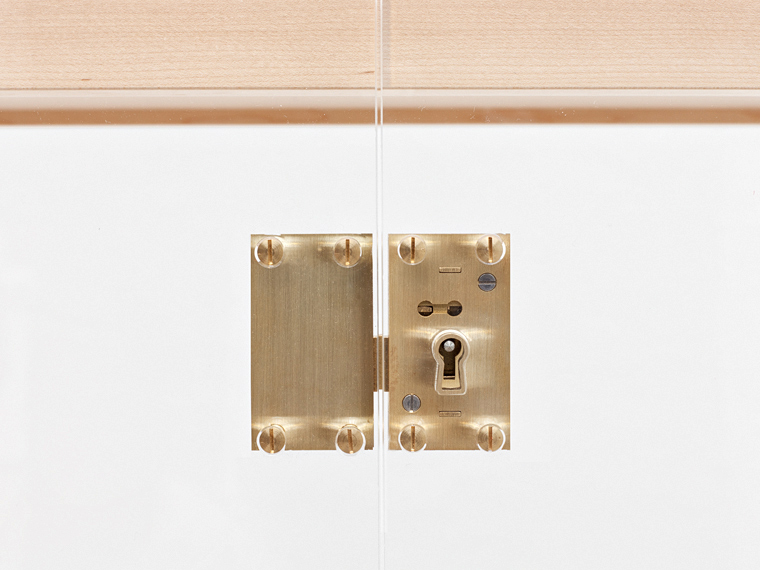 Fittings, fasteners, the joinery of materials and even how the locking bolt moves, are all made visible. 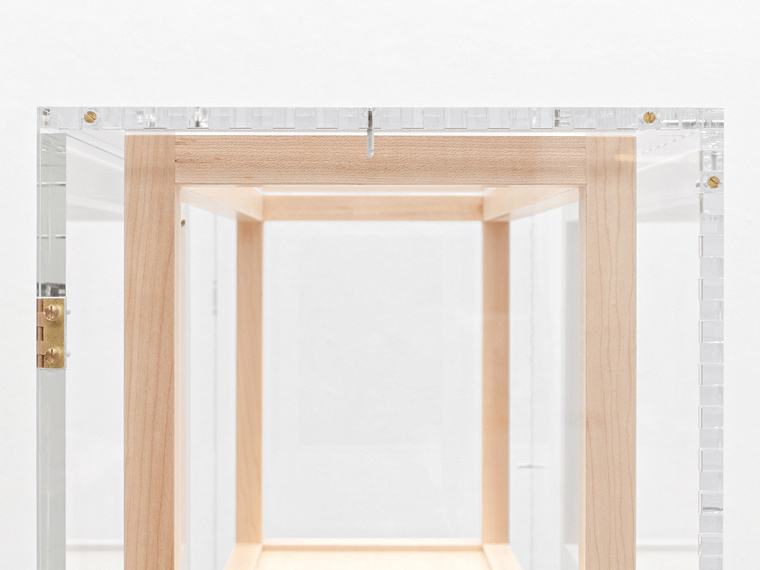 The cupboard consists of two separate elements – a casing and a frame. 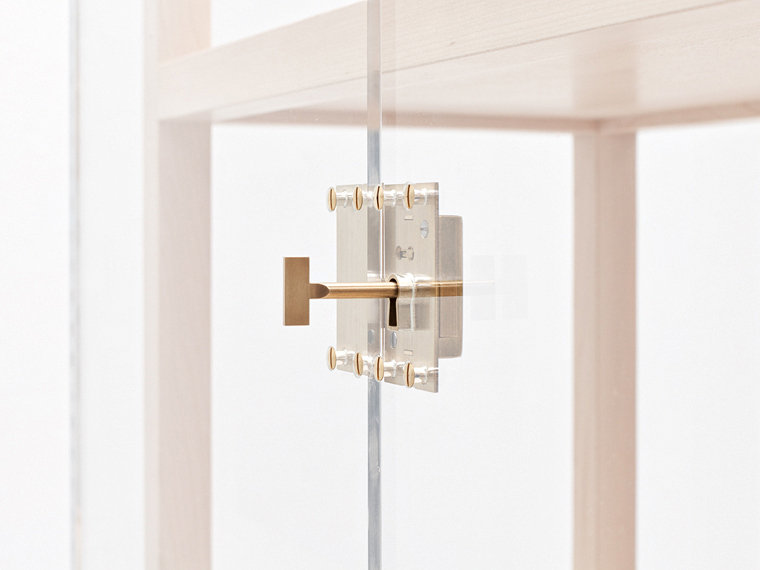 The casing is made of acrylic glass which has been crafted as if it were wood; an example of this is the ‘dovetailing’ – a classic wood joinery technique. 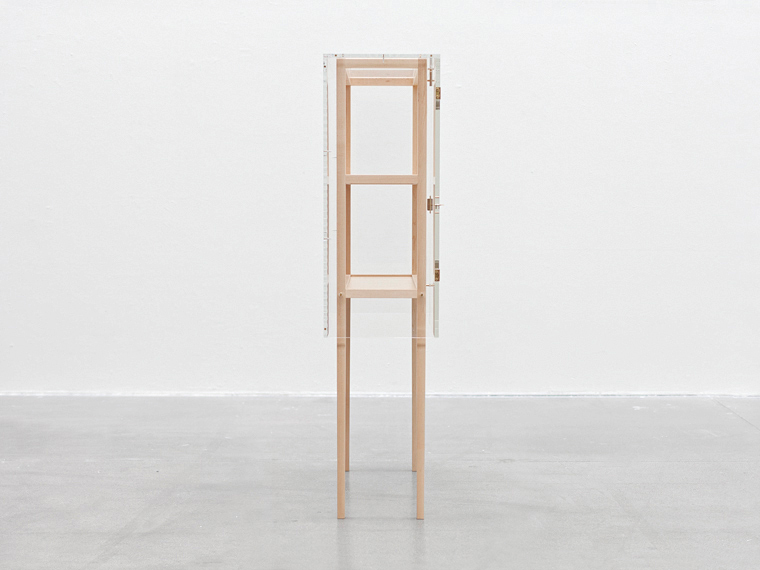 The frame itself is in Swedish maple which provides a restrained elegance to the piece. 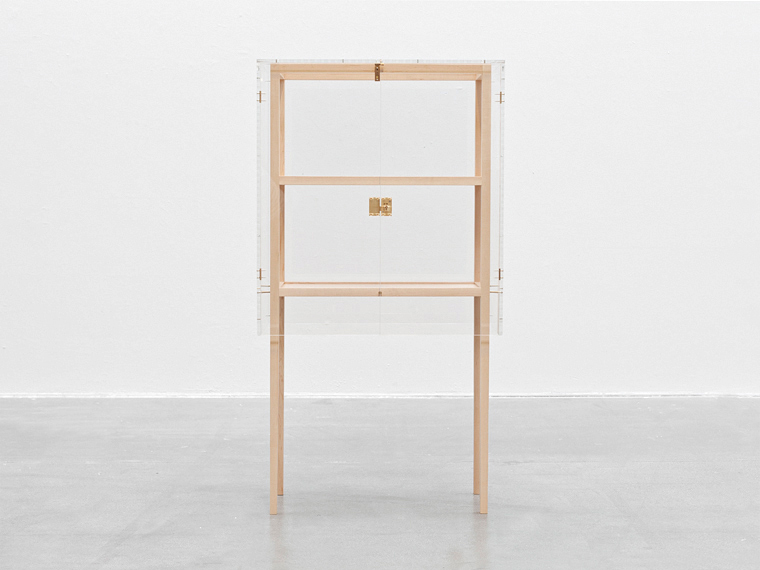 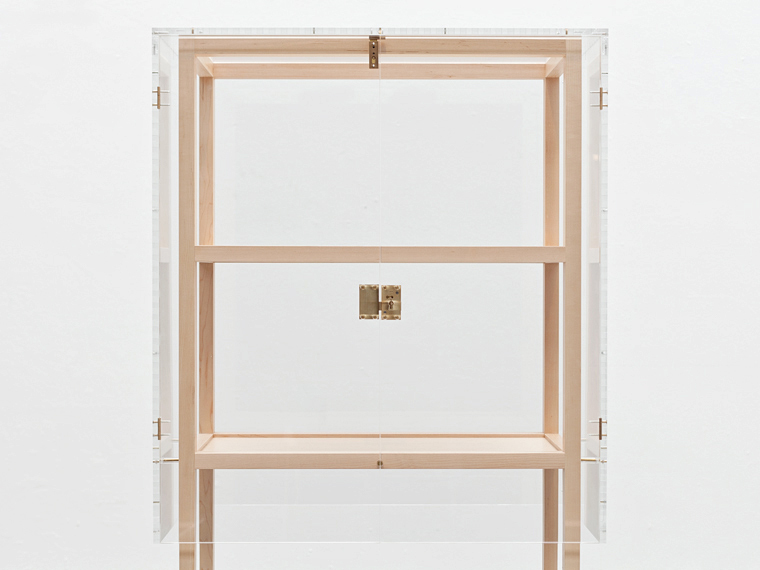 Materials: Acrylic glass, maple wood, brass fittings.